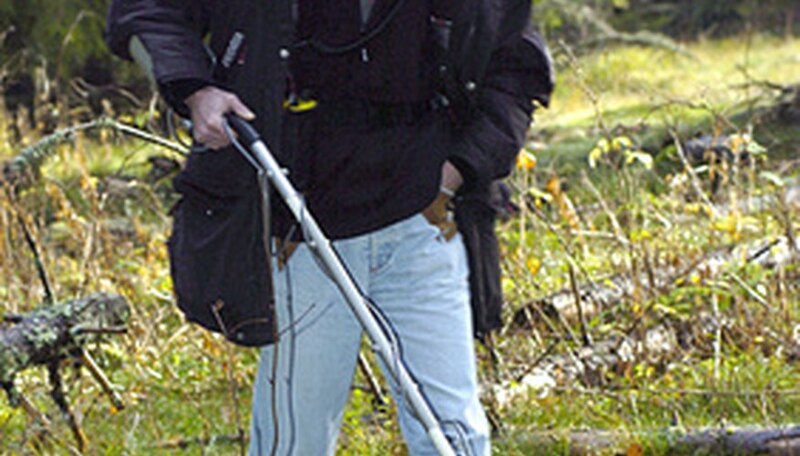 Laws on metal detecting in West Virginia fall under jurisdictions of the state of West Virginia and the Federal Government. For West Virginia, both the state and federal laws are fairly ambiguous and do not state specifically that metal detecting is illegal. Many of the laws are for the protection of historic artifacts. However, it remains the responsibility of the metal detector hobbyist to be aware of the laws before doing any treasure hunting. None of the following West Virginia state laws actually state that metal detecting is illegal. However, there are laws protecting any artifacts that may have been located with the use of a metal detector. West Virginia Code Â§29- 1- 8b protects historic and prehistoric sites. It forbids the demolition or disruption of historic and prehistoric landmarks owned or leased by the state of West Virginia or private grounds where the state of West Virginia has already obtained rights for investigation or development. West Virginia Code Â§20-2-1 also disallows the removal of any artifacts, objects, plants, animals, substances or materials whether they are natural or man-made from state forests, parks or state wildlife management area unless a permit has first been obtained. Also, West Virginia Code Â§20- 7A-5 forbids any person to deface, excavate, disturb, remove or injure any historic or prehistoric ruin, archaeological or paleontological site or any other similar object that might be found in any cave. Although The Archaeological Resources Preservation Act (ARPA) is not specifically a law that prohibits metal detecting, it is still important to know about it before doing any metal detecting or digging up of artifacts. This act was passed in 1979 to protect historical objects that might be lying in the ground. The ARPA prohibits the removal, alteration and excavation of any archaeological resources from public land or Indian lands unless a permit has been issued. The National Historic Preservation Act (NHPA) was passed in 1966 making Congress a partner and leader in historic preservation. According to the NHPA, the government’s responsibilities are to offer guidance for preservation, take part in and expand public support of preservation and facilitate the coexistence of historic and prehistoric resources and modern society. The NHPA states that no artifacts believed to be 100 years or older should be disturbed. Like the previous laws, this law does not state that metal detecting is now allowed. It only states that no artifacts should be removed without first obtaining a permit. When metal detecting, it is also important to heed private property laws. It is considered trespassing to use a metal detector on any private property, so permission should first be obtained. Any object found on privately owned land would be considered the property of the owner of that land. Therefore, anything removed from that land without the owner’s permission is theft and is considered illegal.